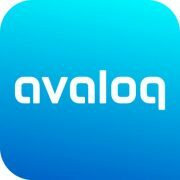 Brewin Dolphin, one of the UK’s largest wealth managers, has selected Avaloq to transform its back-office infrastructure through Avaloq’s Software as a Service (SaaS) solution. The project aims to enhance Brewin Dolphin’s digital capabilities to address the rising competition, says the wealth manager, which claims to have £34.9 billion in discretionary funds under management. Overall, the firm generated full-year revenues of CHF579 million, a year-on-year rise of 6% on an underlying basis.